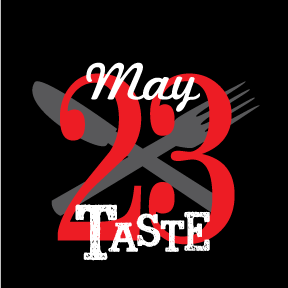 Join Tri Kappa for their 27th annual Taste of Valparaiso on May 25 at the Porter County Expo Center. The event takes place from 5:30 to 8:30 p.m. and will feature signature dishes, beverages and desserts from more than 30 local restaurants and companies. Participating restaurants prepare a “taste” of their signature dishes—donating their time and food so that 100 percent of the profits can go back to the community in the form of scholarships, grants, and projects. In addition to the generous support from local restaurants and businesses, Mayor Jon Costas will donate his time to entertain the crowd with his guitar and the Valparaiso High School Orchestra will also perform. Ticket holders can support this fundraiser by purchasing raffle tickets for a $1,000 cash drawing and bidding on silent auction items featuring services and goods from local businesses and some of Tri Kappa’s talented members including spa packages, overnight hotel accommodations, tickets for sporting events, a pair of diamond earrings, and many other amazing prizes. Tickets for open seating are available now from any Tri Kappa member or may be purchased at the following Valparaiso businesses: Seasons on the Square, Tudor Floors Carpet One, and Valparaiso Town & Country Market. Ticket price is $35 in advance or $45 at the door. A full price ticket is required for children old enough to walk and due to space limitations, strollers are not permitted. For more information on the Taste of Valparaiso, or for a list of participating restaurants, visit trikappavalpo.org or email kappatasteofvalpo@gmail.com. Best of luck with this year’s Taste ladies!! !